The PAC, unlike other similar committees, can submit a report only with consensus and not with any dissent note. 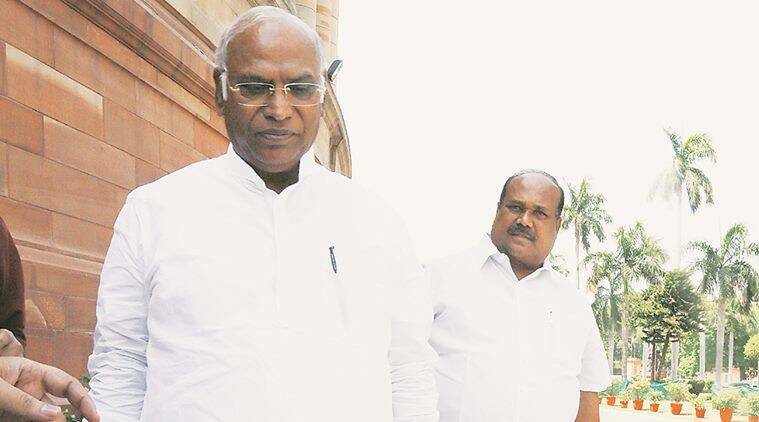 The first meeting of the newly constituted Public Accounts Committee, chaired by senior Congress leader Mallikarjun Kharge, began on a note of consensus with Kharge highlighting the “cooperation of all” and a BJP member seeking CAG audit of Prime Minister Narendra Modi’s pet schemes such as Swachh Bharat, Jan Dhan Yojana and Smart City. According to sources, BJP member Nishikant Dubey asked CAG Shashi Kant Sharma why he does not conduct performance appraisal of key central government schemes like Swachh Bharat Mission, Ganga rejuvenation plan, Jan Dhan Yojana, Smart City, Skill India Mission and Mudra Yojana. Lauding this, BJD member B Mahtab said it showed how the PAC functions in a non-partisan manner. Pointing out that PAC is a key finance committee, Kharge reportedly expressed confidence that members from all parties would work with a spirit of cooperation befitting the stature of the panel. The PAC, unlike other similar committees, can submit a report only with consensus and not with any dissent note. The recent meetings of the K V Thomas-led PAC had seen bitter fights among members over the monetary policy report. Thomas had wanted to submit the report by the end of the budget session of Parliament. Key Finance Ministry officials and RBI Governor Urjit Patel have already given their submissions to the panel on the issue. During today’s meeting, demands were raised for CAG examination of the impact of the UPA law of 2013 on land acquisition and implementation of the Food Security Act over the last two years. The issue of misuse of tax provisions by trusts also came up for discussion.